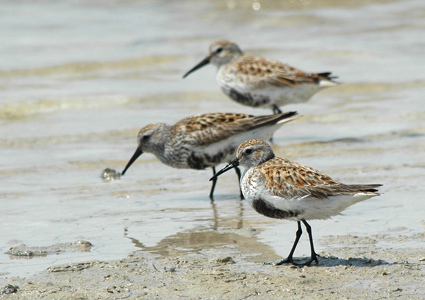 If you see an immense cloud with little wading birds in the Wadden Sea area, it most certainly is a flock of Dunlins. They breed in the north of Europe on tundras. 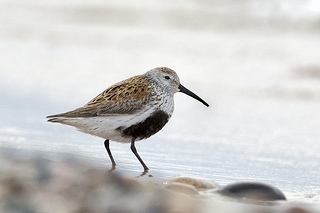 In summertime the Dunlin has a black belly. The Sanderling always has a light-coloured belly.